There are so many factors that are part of attaining business success. There are just as many factors that are part of maintaining it for a long time as well. If you want your business to epitomize positive results, then you need to be 100 percent willing to put in all of the necessary work. This may involve putting a lot of energy into branding concepts. A+ branding is indispensable for businesses that want to shine in contemporary society, and that’s a fact. Why Do You Have to Brand Your Business? 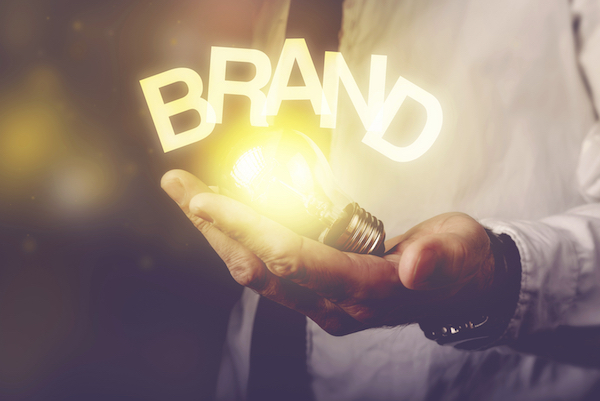 Business branding is no longer a question. It’s an essential thing. Consumers these days are savvier and smarter than ever before. They know all of the options that are in front of them. They know exactly what to expect, too. They strive to connect with the brands that offer them services and products. It’s unrealistic for consumers to connect to brands out there that are devoid of “personalities.” If you want people to be able to pinpoint and appreciate your business, then you need to put a lot of thought into branding. Branding can help people genuinely grasp the nature of your business. It can help people anticipate all of the things that are coming up for your business, too. Branding establishes familiarity for businesses. It encourages people to come back to businesses over and over again as well. Branding can help people identify all of the components that are distinctive about your business. The world is chock-full of all kinds of similar businesses now. It can in many cases be tough for customers to be able to tell them apart successfully. If you want to steer clear of the risk of blending in with your competitors and with being dull and predictable, then you need to prioritize quality branding techniques as soon as possible. Branding can give your business a sense of distinction that’s rare and precious. It’s critical to enable consumers to get fully acquainted with your brand. People are reluctant to commit to brands that make them feel uncomfortable in any way. If people spot your product on the Internet, you want them to feel fully at ease about getting their hands on it. There are all sorts of options accessible to people who wish to familiarize the general product with their products. Collaborating with a company like OMG Commerce may help businesses that want others to grasp the aims and practices of their businesses. Companies and Digital Marketing Practices. Digital marketing is indispensable for businesses that want to achieve a lot. If you want the people who are in your target audience to be able to grasp your brand and its concepts, then the assistance of a well-rounded digital marketing campaign can go an amazingly long way. There are many different aspects of digital marketing, too. If you get professional guidance from digital marketing experts, they can talk to you in detail about social media networks. They can talk to you at length about website development, website design, blogging, content creation, reputation management, PPC (Pay Per Click) advertising, and even SEO (Search Engine Optimization). SEO is critical for all businesses that want to take the world by storm. SEO enables consumers who are in target audiences to be able to track down businesses in the first place. If you want to strengthen your company’s search engine presence in a big way, then you cannot avoid SEO concepts even for a second. Internet advertisements can also do a lot for business representatives who want to conquer their digital marketing destinies. Ads online give people the opportunity to delve into your brand. They give people the chance to come up with conclusions on their own as well. Social media branding can be a truly influential thing. If you want your product to get to people who are part of all kinds of age ranges and demographics overall, it can be intelligent to take the time to study up on social media branding. Branding via Instagram, Facebook, LinkedIn, Google Plus and Twitter can do a lot for businesses that are not okay with others beating them. If you’re a business representative who is motivated as can be, then you need to learn all about the intricacies of social media branding.